Building dreams takes lots of behind-the-scenes work from dedicated volunteers and generous donors. On Saturday, April 27, National Association of Residential Property Managers will be joining Habitat for Humanity Greater Orlando & Osceola County for a day of dream building. In this course we will address the two most important relationships a PM has: 1 - the relationship with the owner-client. 2 - the relationship with the tenant. We will cover how to make the relationship easy, profitable and low risk. Future Members can join at this meeting. Please see Jessica Foster for details. Chapter Spotlight/ RVP article due -June issue – Pacific/P Isl. Chapter Spotlight/ RVP article due - Jan 2020 issue– Pacific/Pacific Isl. Our vision for 2019 is to help you get the most return possible from your NARPM membership. We are planning to accomplish this by helping you tap into the relationships you already have, and to maximize them to help you grow your business. We want to focus on bringing all of our members closer together this year, so that we can learn from each other and raise each other up. If you were at the year-end party at the Alfond Inn this past December, then you heard me talk about a few of my relationships within NARPM that helped us grow our company by five times its original size in the last 4 years. We didn’t recreate the wheel we literally just took what others had shared with us through NARPM, and implemented it in our business. Jim Roman did an amazing job kicking off the year, and you won’t want to miss any of the great events we have planned. I hope to see you all at the next event! 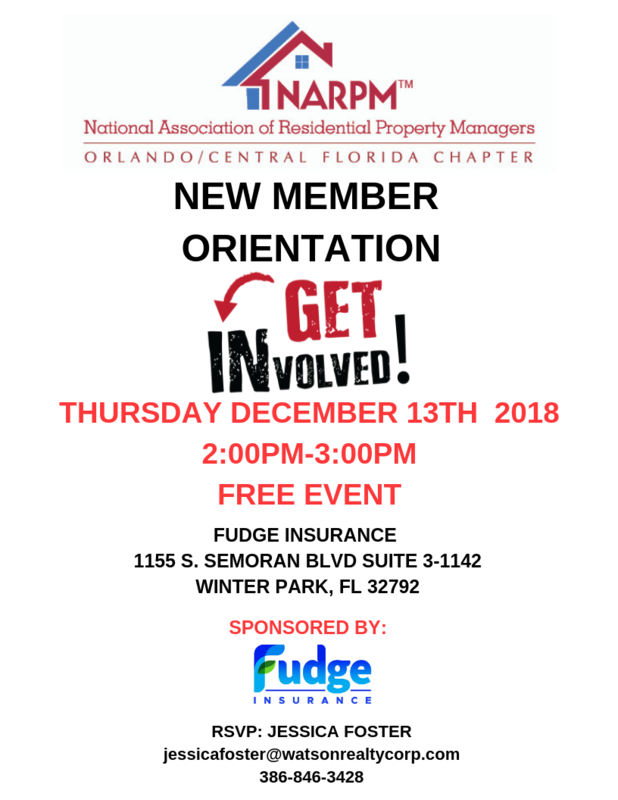 Welcome to the NARPM Orlando/Central Florida Chapter. We are excited that you are here! If you are interested in learning more about our organization and how it can benefit you and your business please join us at one of our exciting events. We hold regular meetings, education classes and fun socials. Please take some time and take a look at our calendar of events. Be our Partner in supporting local entrepreneurship! This is a great opportunity to meet and introduce your company on an ongoing basis to over 250 Property Managers in one of the largest NARPM Chapter in the United States. This group of high profile professionals is the first line of facilitators for millions of dollars of residential real estate in Central Florida. The presentation of your services and products to our members, during the entire year, is a great investment that will definitely produce high returns. WANT TO RECEIVE INVITES AND NEWS FROM NARPM ORLANDO/CENTRAL FLORIDA? JUST OPT-IN TO OUR EMAIL NEWSLETTER. Our chapter was founded in May of 1995 by two local property managers. Today it is one of the largest chapters in the nation. Our members subscribe to a superior level of service and education while strictly adhering to NARPM’s ethical standards. The members of the Orlando/Central Florida Chapter specialize in the management of single family homes, condominiums, duplexes, and small multi-unit buildings. We cover a vast area in Central Florida and have members from Brevard, Lake, Orange, Osceola, Polk, Seminole and Volusia. Our mission is to support professional and ethical practices of rental home management though education, networking and certification programs. We hold monthly meetings, featuring informative speakers discussing topics relevant to our industry. Networking within our chapter and nationwide is just one of the highlights of NARPM membership and we encourage you to join us. Our chapter provides ongoing educational opportunities for our members including monthly meetings with guest speakers as well as forums for the exchange of ideas specific to our industry. If you are the owner of investment property, you will find that our members are among the top of their industry. They possess the knowledge and experience to maximize your investment income while reducing your overall risk. If you are a real estate professional who actively engages in the management of single-family homes, townhomes, or condos, joining NARPM is a must. The educational, networking, and tools that NARPM provides will improve your business while saving you time and money. Since 2007-We are your local Bonded and Insured, handyman maintenance specialists. We help you preserve your home, office and rental property values. Let us complete your "To-Do" list and give you more free time to enjoy the things you want. Our service area covers Solivita to Deltona and from Bithlo to Mascotte. We appreciate the opportunity to earn your business. Family owned and operated electrical contractor specializing in residential and commercial service, new construction, paneling, inspections and remodeling of all types. HWW has been providing Florida landlords with leases, eviction services and serving other property management law needs. Tens of thousands of Florida evictions have been filed by our office. We would be pleased to serve your Florida eviction needs. Mold inspection, Air quality testing, Moisture intrusion evaluation. Residential and commercial pest control specializing in property management. We handle rats, large animal trapping, bees, wasps, ants, flees, German roaches and other pests. Excellent work at a fair price. Rentivity™ is a tenant screening and equal opportunity rental home bidding platform, integrated with a highly-automated property management system. This centralized end-to-end solution results in a more time-efficient, cost-effective experience for property managers, tenants, owners, and service providers. Junk Debris removal from a single item to complete house trash out. Prices include labor, taxes, and dump fees. U.S. Heating & Air Conditioning is a local HVAC company that has been in existence for over 17 years. As a family oriented company, we employ local HVAC contractors committed to providing the highest quality service in your area. We are based in Longwood, Florida and serve all of greater Orlando, Davie, Casselberry, Lake Mary, Sanford, Apopka, Winter Springs, Oviedo, Winter Garden, Windermere, Dr. Phillips, Winter Haven, Heathrow, Lake Nona, Lake Buena Vista, Kissimmee, Cocoa Beach, Melbourne, Titusville, Christmas, Bithlo, Fern Park, Lakeland, College Park, Maitland, and Seminole County. Whether AC repair or furnace repair, electrical services or plumbing services, U.S.H.A.C. is your local HVAC company dedicated to providing you the highest quality service at a price that fits your budget. Call us anytime to discuss your heating and cooling needs. 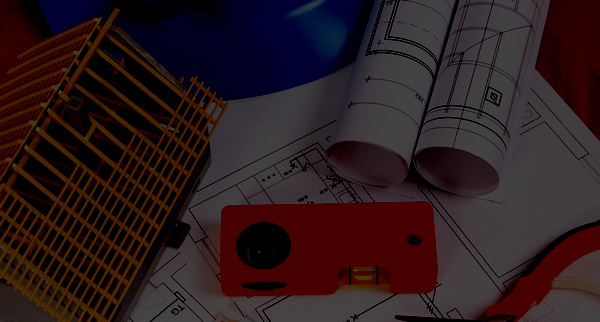 Our qualified and courteous HVAC contractors are always ready to help. Heart Heating & Air is a licensed and insured HVAC company providing excellent and swift customer service to property managers over a large stretch of three counties. With nine years of experience Heart Heating & Air provides reliable and knowledgeable services for both emergency and maintenance scenarios to your customers at affordable and discounted rates. We assist Property Management companies with the eviction process by posting 3 Day Notices, 5 Day Notices, and serving 20 Day Summons. We provide Notarized Affidavits of Service for all clients as well as courtroom testimony when needed. Royal Protection and Security is a contract security guard company. We provide some of the best officers in the Central Florida Area. We pride ourselves on being a complete customer service company. All of our officers are experienced, well trained, certified, and well supervised, with great work ethics and excellent security backgrounds. Our officers are well trained in vehicle and foot patrols, ID Checks, CCTV monitoring, and traffic control. We just added a Certified Drone Pilot to our staff, and have the ability to send up a drone for any purpose such as: a large crowd event, aerial pictures, and aerial patrols. We are mobile locksmiths dedicated to serving Property Managers and Realtors. We provide fast, reliable service, competitive pricing, and a custom Master Key System unmatched in the area. We look forward to serving your needs. Pest Control Company that only services the best Property Managers. At MJ Locksmith LLC, we are a local residential locksmith company that caters to the needs of the property management industry. Let our commitment to your company save you and your owners time and money. We are the largest public adjusting firm, licensed, bonded, and insured by the State of Florida who represents policyholders to their insurance company in order to maximize their settlement as a result of their property insurance claim. Working with residential and commercial claims we've recovered over $500 million for our clients since 2006. Crown Roofing proudly service Tampa, Sarasota, Fort Myers, Miami, and Orlando, specializing in Commercial, Residential, New Construction, Re-roof, Service, and Maintenance. Water damage services, mold remediation services, and reconstruction. We are looking forward to the next 20 years with NARPM! Offering unparalleled service on time, the first time! Our dedicated and experienced roofing specialists service residential, multi-family, and commercial clients. We’ve built our reputation on honesty, integrity, and a commitment to delivering only the highest level of workmanship for every project. Performance Roofing has earned the title of GAF factory-certified Master Elite Roofing Contractor. Only the top 3% of all roofing contractors have qualified as Master Elite Contractor! Encore Plumbing is a full service plumbing company that provides residential & commercial service repair, installation & remodeling. We are at your service 24 hours/day, 7 days/week! We strive to set the standard for our industry with exceptional service. Our service professionals are experienced & provide superior quality & craftsmanship. Encore Plumbing provides 24 HOUR EMERGENCY SERVICE. We want to earn your business & provide the best service available in the Central Florida area. We solve the problem of tenants changing air filters on time, while reducing maintenance tickets and increasing profits! OnSight PROS is a third party company providing property reports with photographs and a detailed condition report of your home. These reports are performed by experienced and certified inspectors who report on the condition of your home with trained eyes. 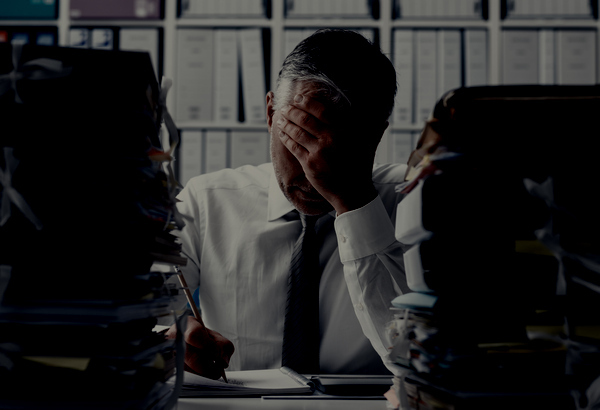 Our service helps you protect against preventable damages and liabilities. Residential & Commercial locksmith services of the highest quality are provided to the entire Orlando metropolitan area including Casselberry, Kissimmee, Ocoee, Sanford, St. Cloud, Winter Springs, Deltona and surrounding areas. Fudge Insurance provides insurance services for your landlords, your renters and your business. Our suite of products has been curated with the property management industry in mind. Contact us today to see how we can help protect your business! Wilkins Law Firm has reinvented how residential property management legal services are provided. Through our secure website our team of Attorneys and Case Managers quickly process your residential leases, notices and eviction. The status to all your legal matters are updated in real time, emailed to you and displayed on your account, which is available 24 hours a day, 7 days a week.